In the previous post in this series, I recounted my stock preparation history culminating with the Hammer A3-31. Prior to discussing the ins and outs of the Hammer machine, let’s look at the rationale for a combination jointer-planer in the small shop. 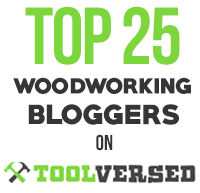 A strong desire to build things from wood that exceeds the desire to dawdle with woodworking tools. Less time than we want for making things. Less shop space than we’d like. Less money than we want. To get a pile of wood transformed into a finished project, the stuff needs to be taken to the desired thicknesses, with flat parallel surfaces and a straight, square edge before being ripped to width and crosscut. Doing it all by hand is just too slow and tedious for most of us, but a hybrid approach employing a portable thickness planer is very practical. One face is made flat but very rough using scrub and jack planes, just enough so it does not rock or distort on the planer bed, and there is no bow (lengthwise curve on the face). The planer flattens the opposite face, the board is then flipped and the planer makes the first face flat and parallel. 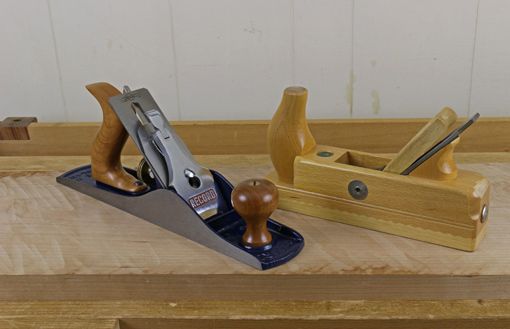 Then hand plane a straight edge. Don’t forget too that a well-tuned bandsaw with adequate blade height can do a pretty good job as a jointer and thicknesser followed by clean up with hand planes. It does pay to be able to fully prepare a board entirely by hand just as a baseball player must be able to bunt – it isn’t used often but a complete player artfully brings up the skill when needed. Some boards are too short to safely feed to a thickness planer and hand work is a must. Also, there is an occasional board in which I want to preserve every hair’s breadth of thickness, and conservatively flattening one face by hand is a less risky method. For very wide slabs, elaborate router jigs can be set up but finding a local commercial shop with a megabeast thickness sander makes more sense to me. The big problem here is that jointers with widths that approach even inexpensive portable thickness planers are big and expensive. To me, it makes little sense in terms of expense, space, and work efficiency for most small shop furniture makers to have a $2000, 600-pound, 8″ jointer with a 7 foot bed paired with a 13″ thickness planer. 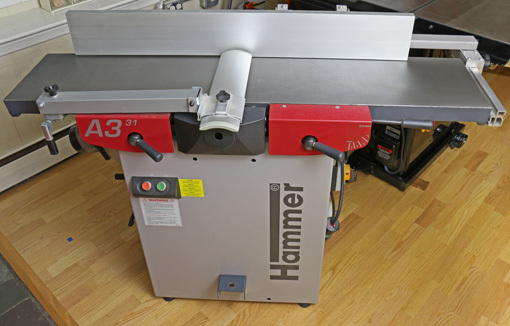 Or how about 5 or 6 thou for a 900 pound 12″ jointer? One interesting exception to this mismatch situation is Grizzly’s G0706 12″ jointer that has a 60″ bed. In a single machine with a fairly small footprint, you get an excellent 12″ of planing and matching jointing capacity. This opens up a world of managing wide boards with ease. This is value. There is a range of prices starting at about $1800 up to twice that, among options that include Rikon, Grizzly, Jet, Rojek, Minimax and Hammer. Pair one of these bad boys with a steel frame bandsaw with a matching 12″ capacity and life is very good. Lower budget 10″ models are available, including Rikon, Jet, and Grizzly. I will say that I really appreciate the extra two inches and extra beefiness of my current Hammer over the 10″ Inca I had. Hey, how about 16″? Sure, if you’ve got the space and money, but for most of us it’s not necessary for most furniture making. In the next post in this series, I’ll go into some detail about my Hammer A3-31. Previewing, here are two non-issues: bed length and change over between functions. In your shopping, did you see much difference in compactness for the different units? (either in terms of operational footprint or storage footprint)? The 12″ machines are all similar in footprint, mostly determined by the length of the jointer bed. The Hammer, at 55″, is slightly shorter than some others. Also keep in mind what happens when you push the fence back to expose the full jointing width. The companies seem not to like to show you the back view of the machines. The Hammer is excellent in that there is not much structure that extends back behind the fence. The Rikon, for example, has a long bar that extends out to the back. The Hammer is also nice in that both tables lift together when going into planer mode and they stay parallel, so the machine takes up about the same floor space when the tables are up. Minimax tables, for example, lift separately and one is at an angle. More info on the Hammer coming up. I’ve been reading your site for about 3 years, but I think this is the first time I’ve left a comment (I think). Understanding the advantages in space use and cost to a small shop, I’ve read in several places over the years that combination machines do not do as good a job as dedicated single purpose machines and are more finicky to deal with. Is that your experience? 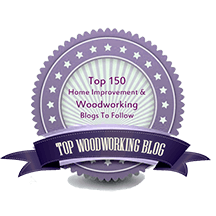 Things may have changed on the manufacturing side since the articles I read which were mostly classic Fine Woodworking, WoodCentral blog, and similar sources. Great website BTW! Keep it up. I’ll address these issues more in a future post but for now I’ll say that the combo machine does as good a job as dedicated machines unless a long jointer bed is important for your work. I’ve rarely if ever found that to be an issue, even for fairly large boards. More finicky? Pretty much, no, mostly because the machines are made so well. The one caveat is that with the combo machine, two beds (jointer and planer) must both be parallel to a single cutterhead. It sounds hard to achieve in theory but with two different high quality machines it has worked out very well. By the way, I’ve switched web hosts so there’s been a temporary lull in my posting. I’m getting it going again soon. Great informative article, thanks for posting! My planer just quit the other day.. It can barely get through planing a 2×4 now.. So I’m currently looking to invest in a joiner/planer combo. Thanks for all of the great info on this one. Thanks, Jon. Check out part 3 of the series, and I’ll be posting part 4 very soon.